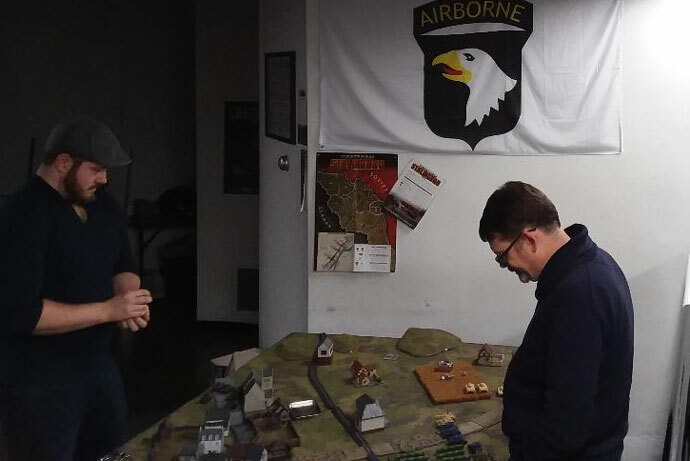 The Legions Pittsburgh crew began a Firestorm Stalingrad Campaign on Nov. 2, just a little ahead of the 76th Anniversary of the Soviet Operation Uranus that changed the direction of World War II irrevocably. This is a report of the first phase. As we expected each phase to take longer than one week, and based on number of participants, as campaign director I had to apply a slight modification to the attack allocation rules. The first five attacks were allocated as per the base rules in the Firestorm campaign. Any ‘extra’ battles were confined to the places where the first five battle arrows were allocated. These extra battles could have different controlling sides; e.g. the die for placing the arrow was rolled again and the controller decided which of the battles he wanted to refight. Obviously, if the Germans won a battle there was no point in the Germans applying a ‘refight’ to that battle arrow, but it might benefit the Russians to refight that arrow. The outcomes of two battles for the same arrow were averaged; e.g. an 8-1 followed by a 3-6 was averaged to a 5.5-3.5. This provided a little extra ‘strategy’ to the game. Players were encouraged to play V4 lists but given the option of using V3 lists vs V3 lists (this would be the only way to have Romanians, for example) but playing V4 rules. So far, nobody had chosen that option, as most players were interested in playing lists appropriate to the Fall tournament season in USA. Point values were up to the players. Generally, the points used reflected those expected in upcoming North America tournaments. Battle plans decided the scenario, with the player owning the arrow restricted to ATTACK and MANEUVER while the ‘receiver’ was restricted to MANEUVER or DEFEND. If both players chose maneuver a second die roll determined game attacker. We saw a mix of scenarios as German players with tank lists favored MANEUVER while the German players with infantry lists favored DEFEND. Most Soviet lists were TANKOVY of one form or the other, but complemented by infantry. The first night saw four of five attacks resolved. All five attacks were Soviet-controlled, and Ben. I, playing the role of Marshal Zhukov, allocated them as indicated 1-4 on the enclosed map, with one marker allocated to Stalingrad. Rob, Marshal Manstein, was forced completely on the defensive. The Soviets had a rough time the first night. Ben fought in three games, and lost 2, scoring 8-1 and 1-8 vs Tim’s Germans and 3-6 vs Larry’s Americans. 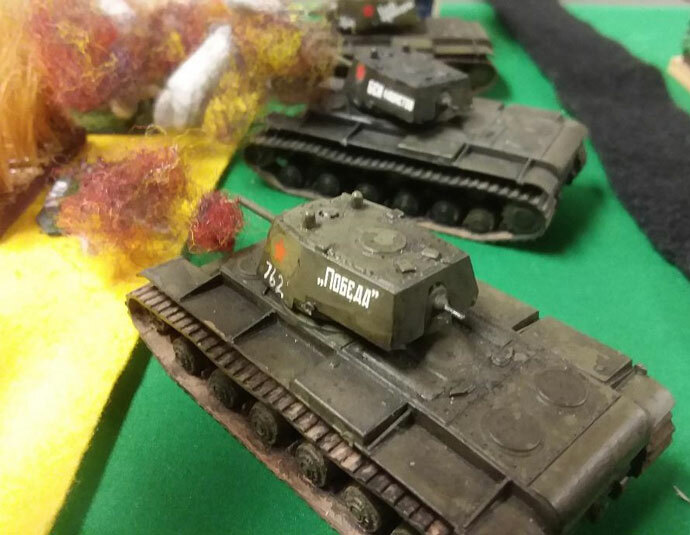 Jim H’s Soviets debuted against Rick’s Germans, losing 3-6. However, the battle Ben won, 8-1, was for the critical location ‘Chir Station’, the 5 victory point location. Historically this marked the capture of the forward deployed supplies of 6th Army and nailing shut the Don River line behind the beleaguered Germans. On Nov. 9th, we fought four more games. The first one, last of the original five attacks and for Stalingrad, saw a Soviet 8-1 victory by yours truly over Rob’s Germans. This set the tone as Rob tried to reverse the capture of Chir Station and break into Stalingrad from the south, controlling two of the three ‘extra’ fights. However Stefan’s Soviets triumphed over Tim’s Germans 8-1, and Rob’s attempt to recover Chir Station was blocked by Ben’s Soviets, also 8-1. Rob scored a moral victory by killing all of Ben’s KV tanks, however in a hard-fought battle that was closer than the score indicates. Finally, I faced Fitzi’s Germans in a battle to control a vital bridge, and managed an 8-1 victory after Fitzi’s 88 and Tiger proved to be armed with dud ammo and failed to kill any of my KV-8s. So the overall record was 5-3, with the Germans losing 2 sectors and a victory point in Stalingrad. On to the next phase. 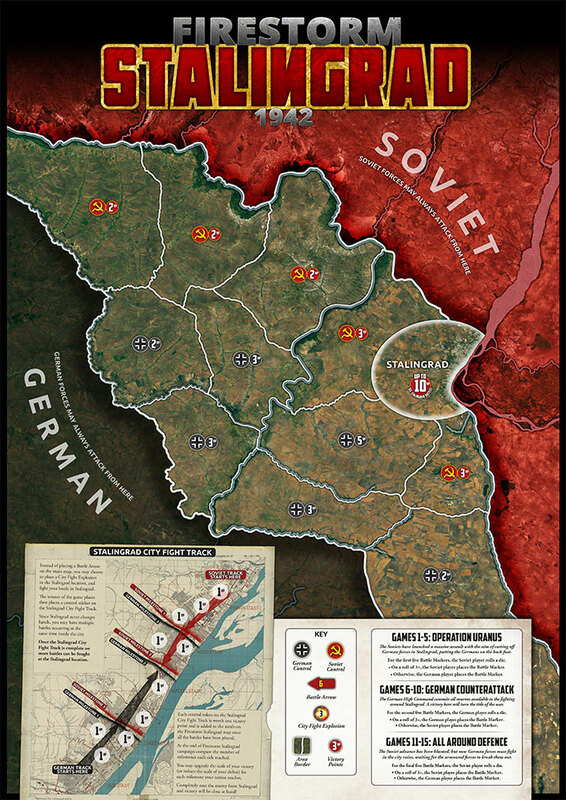 The Soviet offensive came as a surprise to the German high command, but its scope was not well understood. Confused reports from Romanian 3rd Army and the 22nd Panzer Division seemed to indicate success against enemy spearheads but the reports always came from places a few kilometers closer to Rostov than the last one. OKW ordered 6th Army to secure its flanks but did not give permission for a retreat or breakout. Der Führer would not countenance losing a single square kilometer of his hated rival's city. OKW turned to the hero of the hour, Erich von Manstein, conqueror of the Crimea, to recover the situation, creating a new Army Group, Heeresgruppe Don, out of the 4th Panzer and 6th Armies, as well as 3rd and 4th Romanian Armies. Like General Sam Houston of Texas, who is said to have told his staff on the eve of the Alamo-San Jacinto campaign, "I'm general of the armies in Texas, but the hell of it is, there are no armies in Texas," Manstein found himself with an army that marched largely on paper. Part of 4th Panzer Army was trapped in Stalingrad; other parts were linking Heeresgruppe A in the Caucasus with Rostov. 3rd and 4th Romanian Army were clearly in retreat. This forced Manstein to wait on reinforcements while Zhukov's master plan unfolded. Zhukov ordered the continued offensive. 65th and 57th Armies were to thicken the bar in the rear of 6th Army, driving the enemy beyond the Don and occupying critical supply dumps along the rail and road connections to Rostov, as well as the rail yards at Chir Station. 1st Guards Army and 63rd Army were to open a new front, pinning the German 17th Army and driving toward the intermediate objective of Millerovo while 5th Tank Army was to break through the Chir River line heading for Oblivskya. 51st Army was ordered to pin the retreating elements of 4th Rumanian Army near Savol Noya. Other armies were to apply concentric pressure of 6th Army, forcing von Paulus to expend precious resources on holding actions. Zhukov's ambitious plan did not fully recognize the staying power of small Kampfgruppe of Germans and some elite Romanian units. The 1st Guards suffered an initial check in their offensive, which only got rolling again when the 2nd echelon 63rd Army cracked a German blocking force holding a critical bridge. This marked the first appearance of the dreaded Tiger tank, a leading element of Manstein's promised reinforcements. 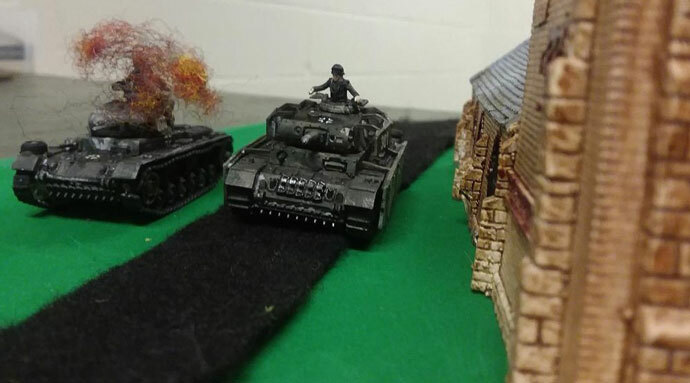 Fortunately for 63rd Army one Tiger proved insufficient to the task of defeating a mixed battalion-size forward detachment. 65th and 57th Armies proved able to move the front back to the Don line, occupying the vital crossings and seizing large amounts of German supplies, most critically, fuel. The timely arrival of 21st Army, squeezed out of the front by 5th Tank Army operations, permitted repulse of a German reconnaissance in force by elements of 16th Panzer Division, trapped in Stalingrad. 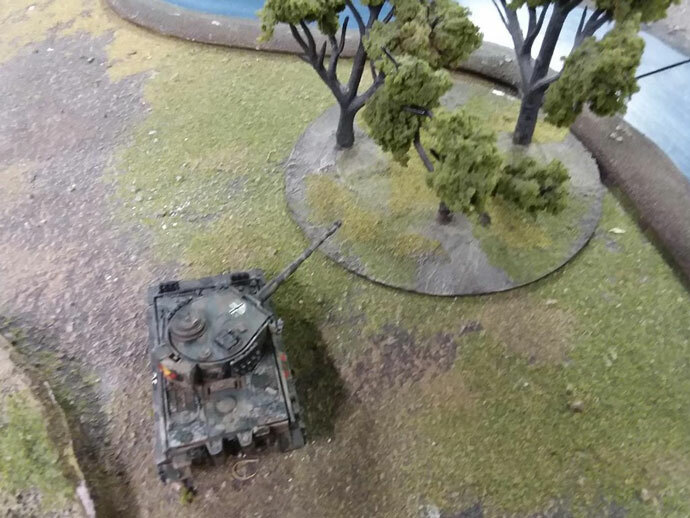 Unfortunately 5th Tank Army proved unable to force the Chir line, and 51st Army's holding attacks failed to make any impression on screening forces of 4th Panzer Army. As the Soviet second echelon moved up and the leading forces dug in, Manstein's reinforcements began moving into assault positions. Unternehmen Wintergewitter was about to begin.